iSolar fall protection 69881520 https://www.kaercher.com/ae/accessory/iSolar-fall-protection-69881520.html Certified personal security system for rooftop work. Contents: Travelling fall arrestor with shock absorber and 15 m kernmantle rope, harness, anchoring sling and sheet steel case. Certified personal security system for rooftop work. Contents: Travelling fall arrestor with shock absorber and 15 m kernmantle rope, harness, anchoring sling and sheet steel case. Certified and standard-compliant personal security system for working safely on the roof. 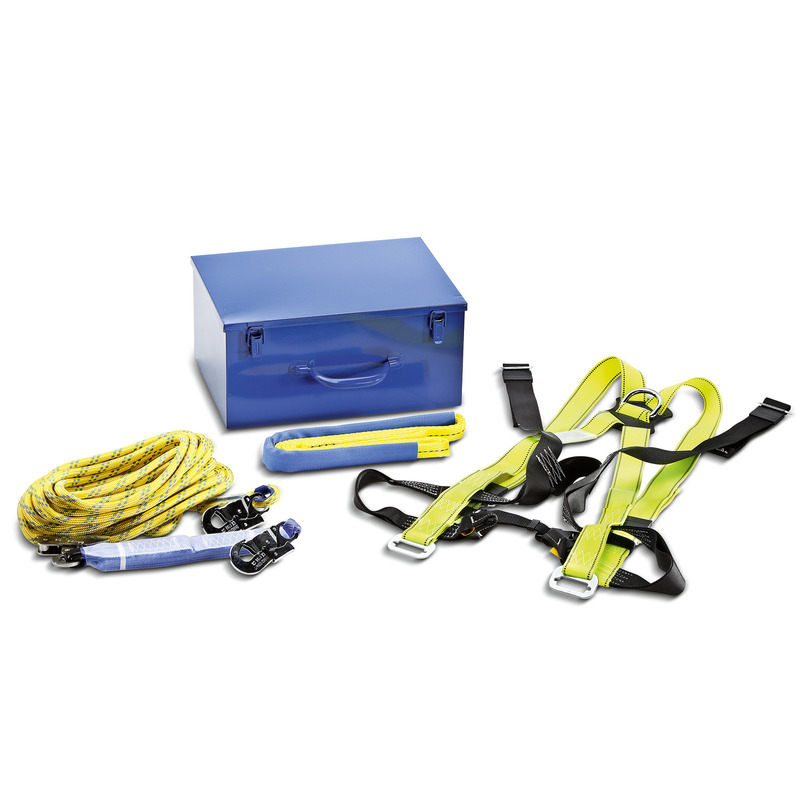 The fall protection contains a travelling fall arrestor with shock absorber and 15 m kernmantle rope, a harness, an anchoring sling for fixing the fall arrestor, as well as a practical sheet steel case for storage and transport.